Introducing Price Wise, a Test Pilot experiment that looks for price drops on specific products at Amazon, Walmart and other top retailers. Note: this was written by two members of the Test Pilot team: Punam and Teon. Today we shipped Notes by Firefox 1.1 for Android, all existing users will get the updated version via Google Play. Firefox users, you can now easily access the passwords you save in the browser in a lightweight iOS app! 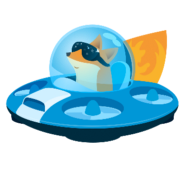 We’re excited to launch two new Test Pilot experiments that add power and style to Firefox. Welcome Shruti to the Test Pilot team! Welcome Punam to the Test Pilot team! You can edit, highlight and crop your screenshots!